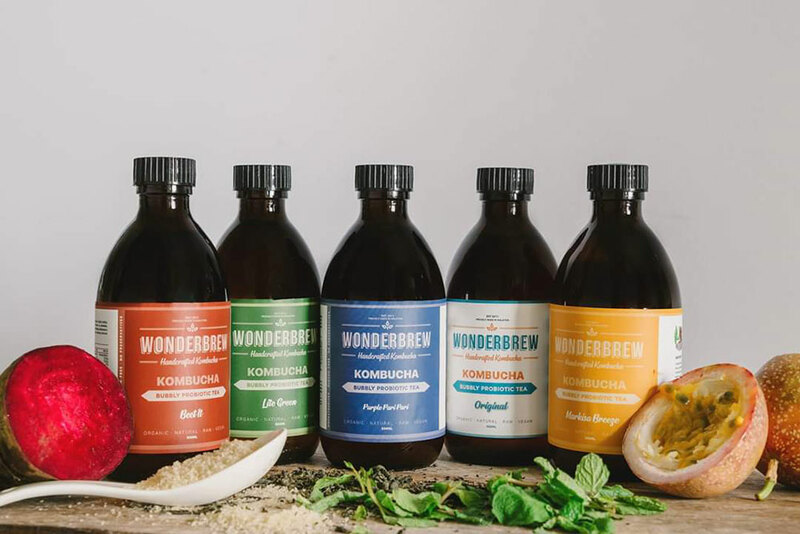 WonderBrew is a Malaysian producer and seller of kombucha drinks started by Joseph Poh and his co-founders Adam and Boon. 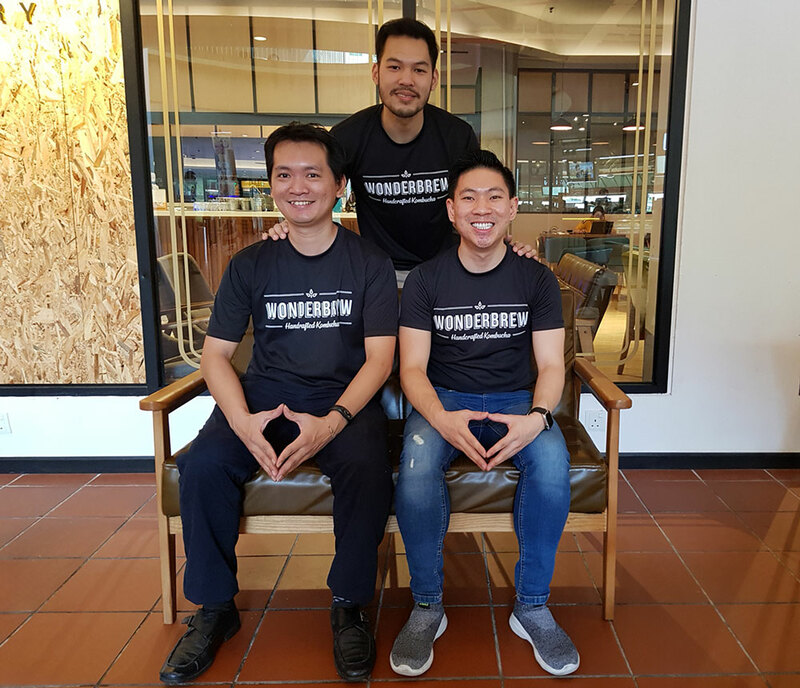 Founded in November 2018, WonderBrew sells their products online as well as in various retail outlets across the Klang Valley. They plan to leverage upon millennial Malaysians’ demand for healthier options in the market to build their business. There’s a new F&B item slowly gaining popularity in the Klang Valley called kombucha, a drink created through the process of fermenting SCOBY (symbiotic culture of bacteria and yeast). For those unfamiliar with kombucha, the drink throughout its various interpretations has been around for more than 200 years, and supposedly comes with a host of nutritional and health benefits. These include maintaining a healthy gut, an improved immune system, higher energy levels, and better digestion amongst other things. Thus, the drink follows the healthy-eating trend that’s been gaining popularity over the past few years, and lately, there have been more and more producers of kombucha in KL especially. 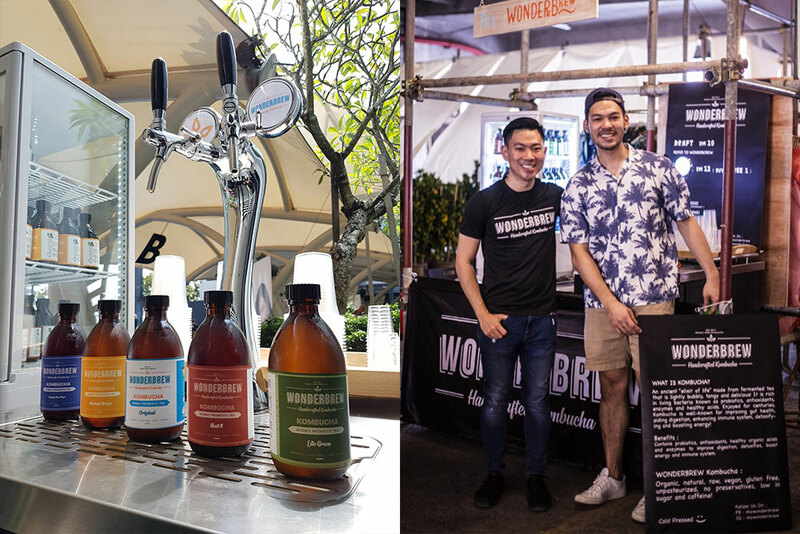 One such producer of kombucha products is WonderBrew, a new company founded by Ipoh-born Joseph Poh (formerly a trading and investment banker, and also the first franchisee of Hokkaido Baked Cheese Tart in Malaysia) and his two partners Adam and Boon in November 2018. The idea for WonderBrew came to Joseph after hearing good things about kombucha from Adam who had some stomach discomfort on a trip to Bali, where the drink helped to alleviate his symptoms. Subsequently, Joseph went on to do more research about kombucha online and eventually ended up attending a workshop where he met his second co-founder Boon who had plenty of experience brewing and selling kombucha products since 2016. One thing led to another, and eventually the idea to create a business off kombucha materialised. Right now, WonderBrew exists as a three-man operation and is run out of a commercial kitchen where their products are made fresh daily. Their versions of kombucha come in a variety of flavours such as passion fruit, green tea, and beets. They use organic ingredients sourced from local organic farmers, and abstain from using artificial additives and preservatives in order to output as pure of a product as possible. “Thus, we made a decision to upgrade our brewing within a commercial kitchen to ensure quality and safety in every batch, and we also took the opportunity to design the commercial kitchen to provide an optimum environment for kombucha brewing,” he said. Other things that WonderBrew does to ensure their products remain as pure as possible include using glass jars during fermentation to prevent leaching, close monitoring, and brewing in small batches. 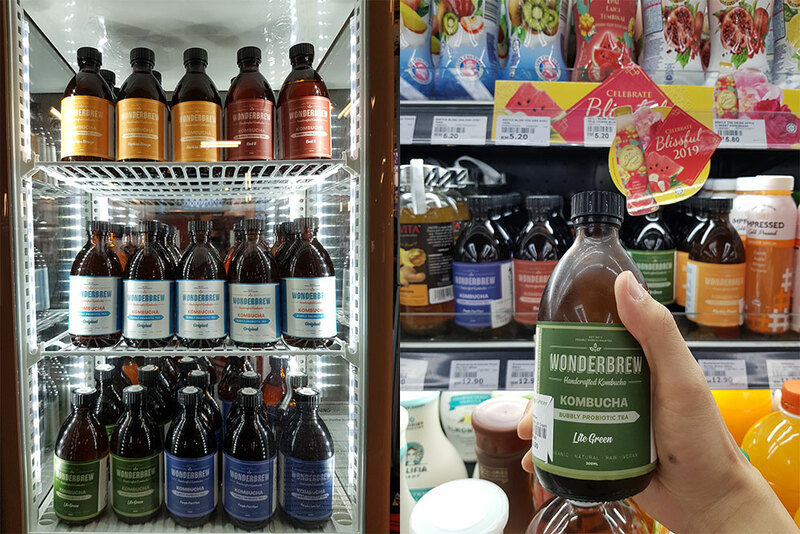 WonderBrew’s kombucha products are now sold at prices of RM12.90 per bottle and can be bought online (with doorstep delivery), as well in Ben’s Independent Grocer, Village Grocer, and a number of fitness centres, cafes, and co-working spaces around the Klang Valley. Speaking on the longevity of kombucha, Joseph is of the opinion that there’s plenty of opportunities for his product to become successful, especially considering the rising interest in health trends among millennial Malaysians. “Perhaps it’s not difficult to see the reasons behind this—people are exposed to work stress, pollution, unhealthy local cuisine, unhealthy lifestyles, and also easier access to health information online,” he added. But before looking to grab at more of the market, Joseph and his team have to first weather the storm of limited resources, just like all new businesses do. This coupled with the challenge of having a tight cash flow due to operational demands means that Joseph and his crew are always planning way ahead and are always taking on multiple responsibilities to ensure the brand can grow—something they don’t necessarily mind. “Personally, I enjoyed and learned so much from my partners when we work together,” he continued. But so far, WonderBrew has managed to do pretty well for themselves, putting their products in 13 different locations in their very first month and adding on six more in the subsequent month, and then doubling their growth within that same time span. 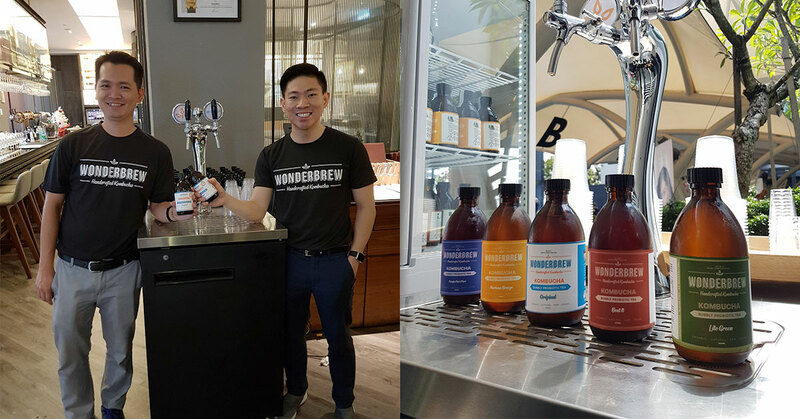 Looking ahead, Joseph said that WonderBrew will look to expand their distribution channels to other major Malaysian cities such as Penang and Johor, with their target being 100 locations by the end of 2019. This will work in tandem with their plans to work with corporate clients more, and grow their number of clients. To know more about WonderBrew, visit their website or Facebook page.